Leading Exporter of traditionally georgette designer sarees, fancy georgette designer sarees, traditional silk sarees, bollywood designer sarees, shaded designer sarees and plain cotton sarees from Chennai. We are the Leading Supplier,Trader,Exporter and Wholesaler of Traditionally Georgette Designer Sarees in Chennai,Tamilnadu,Inidia. Renowned among the best in the industry, we indulge us in manufacturing and supplies of an amazing and gorgeous collection of Fancy Georgette Designer Sarees. The offered range of ladies designer suits becomes the first choice of ladies because of its appealing design patterns. Our provided suits range is available in several color combination which suits the needs of our customers. Furthermore, we are providing this selection in diverse attractive color combination & designs. Our firm is highly engaged in offering a wide range of Traditional Silk Sarees for our esteemed patrons. These suits are highly appreciated among our customer for qualities such as unique design, well-matched color combination and attractive patterns. Skilled professionals use net in these suit to enhance their looks and beauty. Clientele can avail these suits at affordable prices. Delivery Time: A week from the day of order placed. Yaseen Tex deals in large range of products like unique Exclusive Designer Sarees, fancy Embroidered Sarees, Salwar Suits and Kurtis. All our Salwars and Kurtis are designed by our best designers and we pride ourselves on our products made only in limited numbers or one of a kind. Import duties, taxes, and charges are not included in the item price or shipping cost. These charges are buyer’s responsibility. Kindly check with your country’s custom office to determine what these additional costs will be. We are the first-rate manufacturer, exporter, trader and supplier of supreme grade Shaded Designer Sarees. Our offered salwar kameez is widely demanded among ladies for wearing on party or any other occasions. It is stitched & designed from the soft & finest fabric, our garment collection add gleam to the wearer’s personality and enhance their appearance. Its amazing embroidery work makes our range more attractive & different from others. We are giving this collection at the reasonable rates. We are the Leading Supplier, Trader, Wholesaler and Exporter of Plain Cotton Sarees in Chennai, Tamilnadu, India. Yaseen Tex deals in a large range of products like unique Exclusive Designer Sarees, fancy Embroidered Sarees, Salwar Suits and Kurtis. All our Salwars and Kurtis are designed by our best designers and we pride ourselves on our products made only in limited numbers or one of a kind. We are the Leading Supplier,Trader,Wholesaler and Exporter of Designer Fashionable Sarees in Chennai,Tamilnadu,India. We are the Leading Trader,Supplier and Wholesaler of Causal Cotton Sarees in Chennai,Tamilnadu,India. We are the Leading Supplier,Trader,Exporter and Wholesaler of Trendy Cotton Sarees in Chennai,Tamilnadu,Inidia. We are recknoned as prominent manufacturer, supplier and exporter of Classy Cotton Sarees. These salwaars are designed by creative designers using finest quality fabric, owing to their procurement from the most recommended vendors of industry. Moreover, our entire ranges of designed salwaars are provided in varied designs patterns and sizes for serving variegated needs of customers. We supply our range of salwaars at nominal price tags in tamper proof packaging. We are leading Supplier, Trader, Wholeseller and Exporter of Stylish Floral Print Sarees. 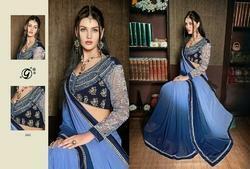 We are engaged in offering highly alluring Fashionable Designer Sarees. These suits are known for their unique design and a well-matched color combination. The use of net in these suits enhances its beauty and appearance manifold. These suits go well on all occasions and are sought after by women of all ages. Customers can avail these suits at competitive prices. We are the Leading Supplier, Trader, Wholesaler and Exporter of Pattu Silk Cotton Sarees in Chennai, Tamilnadu, India. We are the Leading Supplier,Trader,Wholesaler and Exporter of Printed Line Cotton Sarees in Chennai,Tamilnadu,India. We are the Leading Supplier,Trader,Wholesaler and Exporter of Exclusively Silk Designer Sarees in Chennai,Tamilnadu,India. We are the Leading Supplier,Trader,Wholesaler and Exporter of Fancy Border Designer Sarees in Chennai,Tamilnadu,India. We are the Leading Supplier,Trader,Wholesaler and Exporter of Back drop designer sarees in Chennai,Tamilnadu,India. 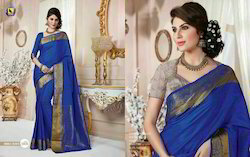 Looking for Designer Sarees ?